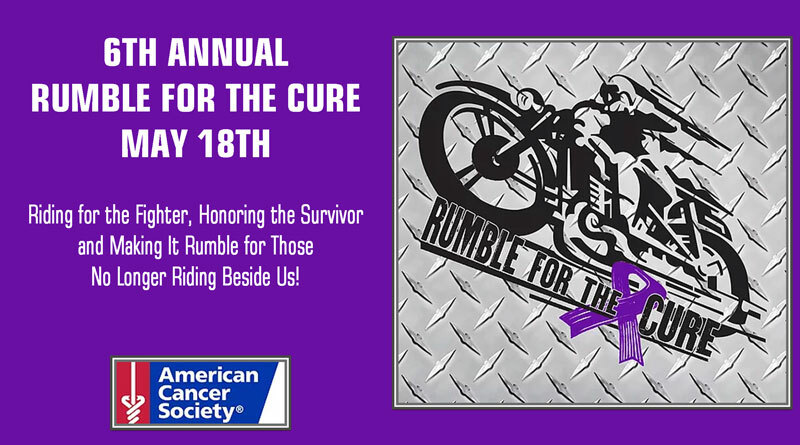 Rumble for the Cure is a non-for-profit organization in support of the American Cancer Society. Join us Saturday May 18th at the 6th annual motorcycle ride for family and friends to remember, fight back, and honor those who have been affected by cancer. The ride will start at Mann’s Harley Davidson and end with music, food, and an auction at the Hope Volunteer Fire Department. Registration starts at 9am and kickstands up at 11am. To preregister Click Here.